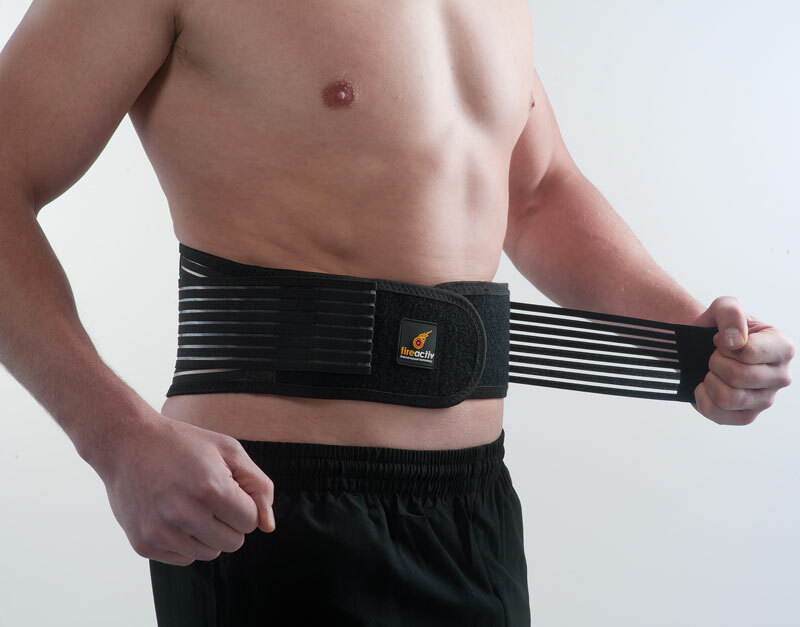 Fireactiv Back Support With Deep Heat Therapy. Back Support Size: Small 20" - 30"
Extra Large 38" - 44"
The Fireactiv® back Ssupport is a variable compression device with 2 stage deep heat therapy. 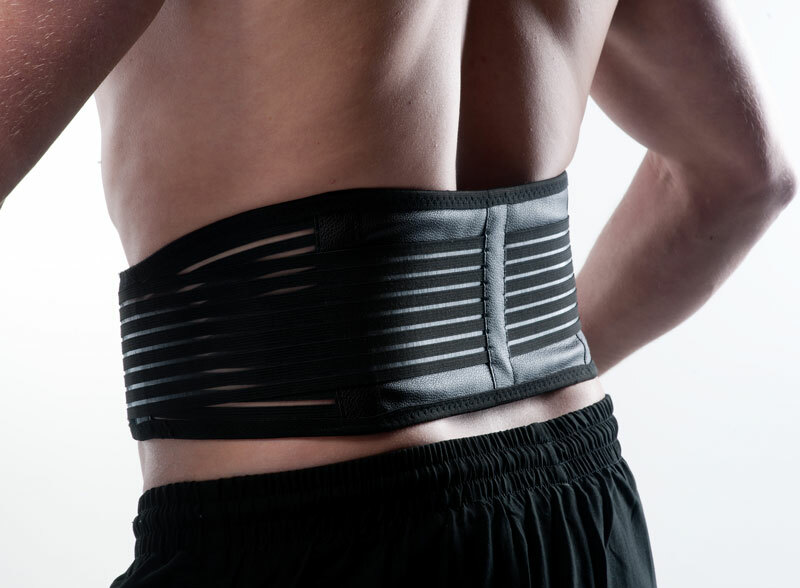 Designed to help reduce unwanted or excessive movements at the lower back, it’s ideal for people suffering from chronic back ache due to repetitive sporting or occupational activities. Deep heat therapy increases local blood circulation, helping with healing and tissue repair whilst warming aching muscles. The variable compression support has dual secure Velcro-closure tensioning straps to ensure a close, comfortable fit. 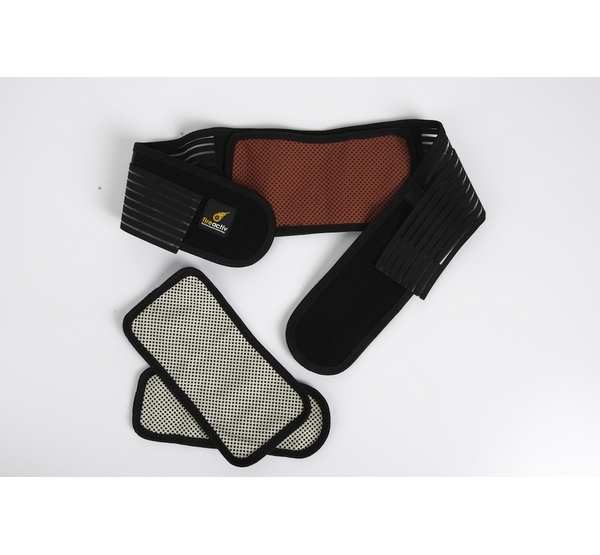 The back support is also supplied with heat pads for the stomach area making it ideal for stomach strains and cramps. Medium - 26" - 32"
Large - 32" - 38"
Extra Large - 38" - 44"